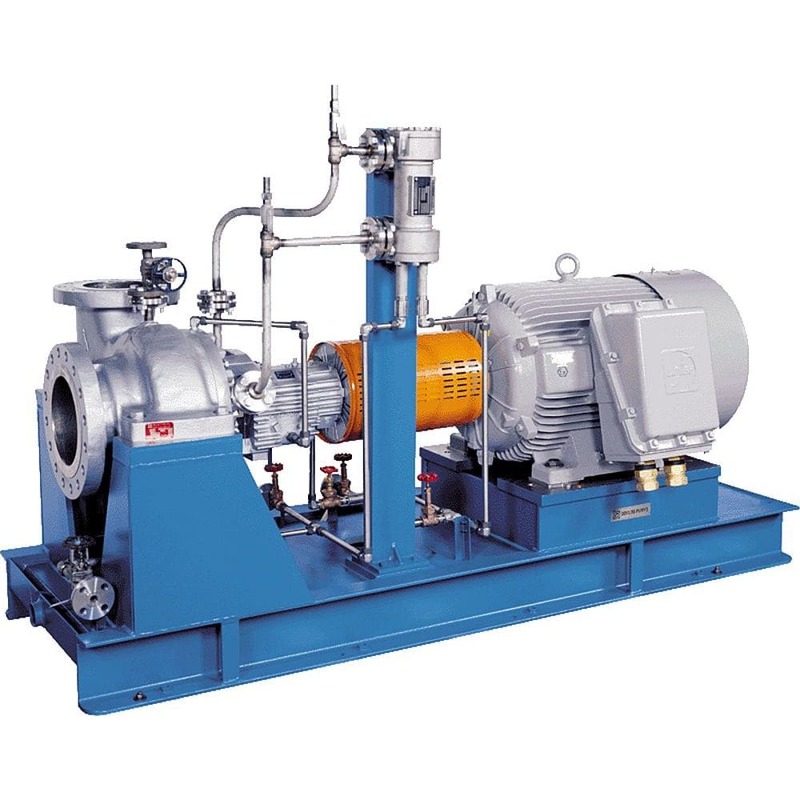 The Goulds 3700 API 610 single-stage pump assembly is a center lined mounted process station, specifically engineered to enable optimal performance reliability. It obtains 6500 GPM volume capacity, and approximates its head fitting ti 1200 feet. This pump setup operates at 800 degrees Fahrenheit, and at 870 psig pressure rating.